Liverpool Football Club has decided to start releasing classic photos from the storied English club’s history on a blog called I’ve Loved Them All. “Whilst there are other clubs around the world who have won more trophies and titles, none of them can boast a history that even comes close to rivaling that of Liverpool FC. “It’s a history that has been written in books, in newspapers and even recently on the big screen but now we’re telling it again – this time through the medium of photographs on Tumblr. The site boasts photos of players, fans and the people that have made the club one of the most successful in English football history. 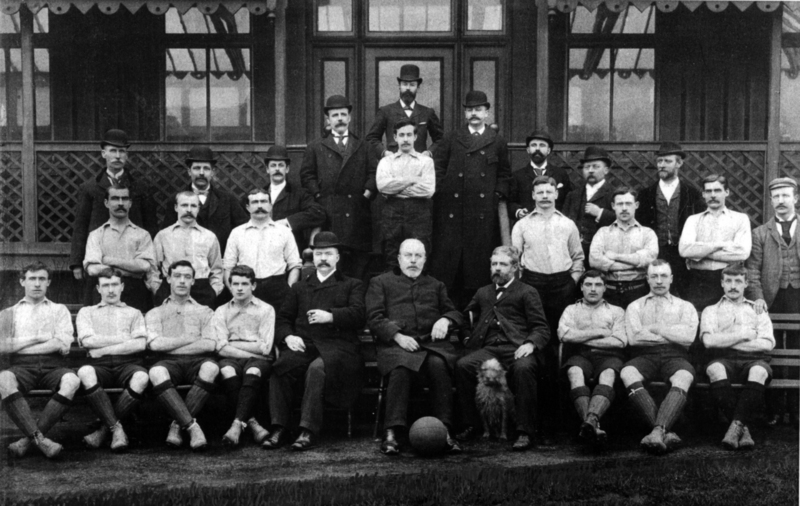 The photo we have at the top of this post is one of the earliest known images of the newly created Liverpool Football Club. The exact date of the picture is unknown but thought to have been between June and August 1892 – nine years before the Cleveland Indians were founded – according to the site. We wish the Browns, Indians and Cavaliers would start a similar project; its hard to believe that Cleveland fans wouldn’t flood a site featuring old photos of their favorite teams and players.